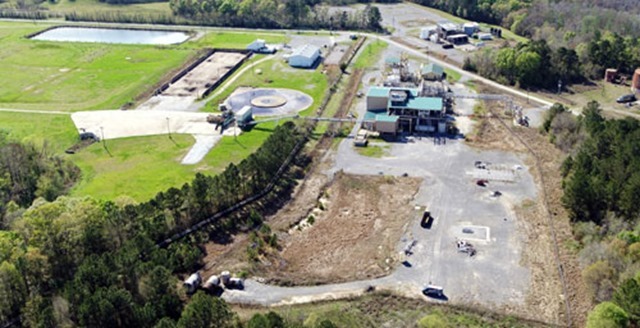 Aaron Equipment Company in conjunction with Reich Brothers and Phoenix Equipment Corporation is liquidating the BP Verenium Biofuels plant located in Jennings, LA. The 40-acre plant including real estate and equipment was originally a joint venture between BP and Verenium Corp. and was built to validate various technology platforms for application in all types of biofuel business segments. Consisting of a full plant made up of hundreds of individual pieces of equipment and components that cover a broad spectrum of process equipment, the liquidation is offering the assets in piecemeal format and appeals to all types of biofuel business segments. This liquidation will run from January, 2018 and will continue through the end of the year and all equipment in the sale is available for inspection on site by appointment or virtually on our website. Although the assets have an original value of $98 million dollars, buyers will now be able to secure them for a fraction of that cost.